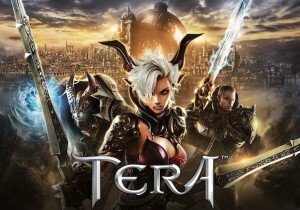 En Masse Entertainment’s action MMO TERA launched a new update on PS4 and Xbox One. Entitled “Deathwrack”, this free update introduces new dungeons, rare and collectible gear sets (Misery and Deathwrack) and more. Guild vs. Guild battles was also introduced, where Guilds engage in heated 24-hour battles against up to three guilds at once, but you should choose your opponents wisely. Warriors also see an update, with upgraded and rebalanced skills, new UI elements, and some surprises on top of that. Skill Chains are now customizable, and players can choose the next skill that pops up in the chain and can create new skill chains or adjust current ones. layers wanting to customize their groups can now post details in the new Looking for Group tool. Detail requirements or desired composition, rather than leaving it up to chance or guildmates. Finally, there are also new dungeons to test your mettle in: Velik’s Hold, Bathysmal Rise, Demokron Factory (rebalanced) and Kalivan’s Dreadnaught.